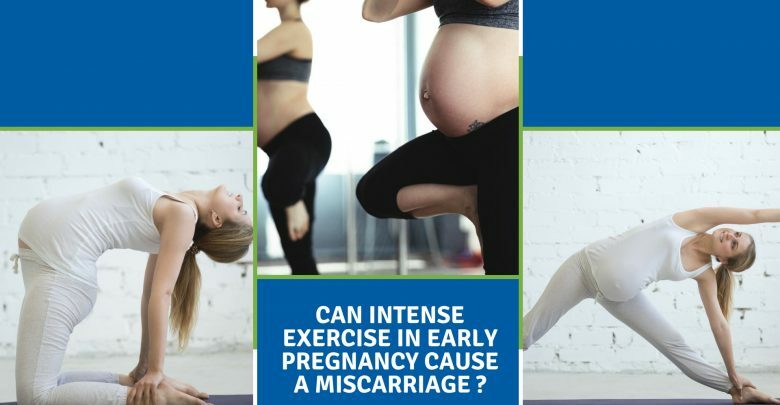 Home/Health & Fitness/Can Intense Exercise in Early Pregnancy Cause a Miscarriage? According to researchers, women who have an intense workout, are more prone to a miscarriage than women who have mild exercises. High-calorie burning and exhaustive sports such as badminton, table tennis, cricket, football, etc. possess high risk, which in turn is a cause of stress in most of the women who are worried about their fetus healthy being. 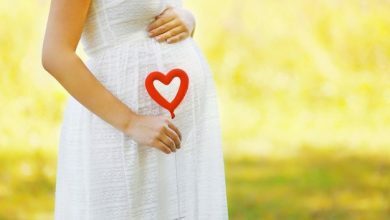 Many physicians and gynecologists recommend exercises to pregnant women, even if they are going through IVF treatment. It is because exercising has various benefits. Exercising while you are pregnant will help you and your baby to strengthen your posture and birthing muscles. It enables you to improve your energy levels, to help you balance hormones which keep you in a good mood. Exercising also has the significant effect on reducing backaches and swellings. Regular exercise promotes better sleep and prevents gestational diabetes. It also affects increasing the overall muscular tone, strength, and endurance. Even though exercising is recommended, it remains a controversial concept that intensive exercise can actually lead to miscarriage, as women have different body types and react differently to various activities. Sometimes, medical history plays a significant role. Intensive sports such as trekking, river rafting, scuba diving, rattling, water skiing, ice skiing, skydiving, horse riding. Avoid exercises such as aerobics, sumo squats, deadlifts, overhead shoulder press, crunches, dumbbell fly are among to name a few. Few exercises are recommendable, slow cycling, mild walking, elliptical, gentle hand and leg workout. Few light weights can be lifted with physician’s advice. Avoid stressing on the lower abdomen. In case of any medical conditions like blood pressure or diabetes, take proper medications on a regular basis. Focus only on mild or moderate exercises, brisk walking and slow cycling are widely recommended activities for cardiovascular purposes. Practicing various floor exercises is a safe method. Avoid back stressing postures. Don’t concentrate on weight, during pregnancy weight gain is visibly noticed but the primary focus is to increase the core strength, boosting energy, increasing stamina, getting rid of a backache, constipation, inflammation, allergies, etc. Self-motivated yourself, boost your morale, this helps in maintaining a stable mind and peaceful surroundings. If you are a regular exercising person, the physician will consult you accordingly, you will better know your body if you regularly practice the same sort of exercises. This determines a healthy state of body and avoids complications due to wrongly performed activities. There are specific exercises that are strenuous to your body, leading to complications in pregnancy. Thinking about exercise complications, physician’s advice is recommendable. Drinking sufficient amount of water to stay hydrated is the best idea when pregnant. Avoid too roaming in too hot temperature, avoid watching stressful and violent television shows and series, eat healthily. Stop exercise immediately if running short of breathe, feeling dizzy. Always avoid self-medication. Consult a doctor for even minute medical recommendations. Habits such as smoking weed or tobacco often lead to hallucinations and leave a long-term and disastrous impact on the body. In case, join rehabilitation centers for better help and consulting. Loud noises, consuming of unsafe water, going at crowded places, unhealthy food, too much body exhausting tasks should be strictly avoided. Sometimes exercising can have a toll on any deficiency you have in your body. It is always recommended to take dietary supplements to avoid any distress. Shortness of breath, headache, dizziness, exaggerated heartbeats or pulse rate, chest pain, vaginal bleeding, extreme pain in back, pelvic or pubic regions. Talk to the physician if these symptoms persist even after discontinuing the exercise. Women should be aware of symptoms and side effects that are signed to limit physical activity during exercise. 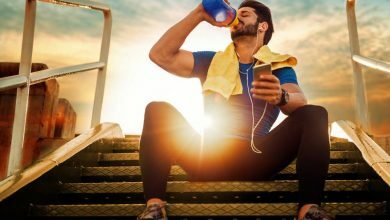 Do not continue intense workout if you have vaginal bleeding, severe chest pain, calf swelling, severe chest pain, decreased fetal movement, amniotic fluid leakage, etc. stop exercise immediately. 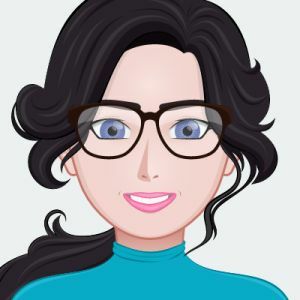 Majority of women are concerned about their child’s health and are afraid of the physical complications caused due to intensive exercise or workout. It is quite a topic of debate as the results are diverse, and different feminine bodies respond to different kinds of exercises differently. There are several workouts as mentioned above and the things to be avoided and things to be precisely taken care of. Miscarriages mostly occur within first 3 to 4 months of pregnancy due to lack of exercise as the body feels shortage of oxygen levels. Exercising is always good and healthy, but you should know the right exercise to avoid any complications.